I hope you are all getting ready for a long Labor Day weekend. If you happen to be shopping during the holiday, I have a few finds you should check out. 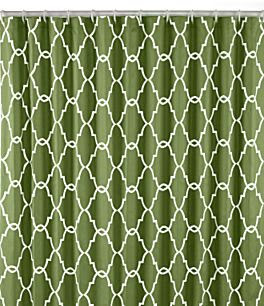 This chain-link pattern Noble Essence shower curtain from Dillard's is just divine. The good thing about bathrooms is that they're small so it doesn't take a whole lot to make them stunning. This curtain would go a long way in transforming your space. And best of all, it's half price! 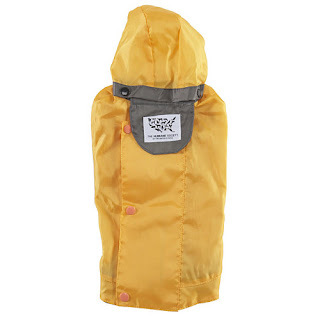 Originally $50, it's now been marked down to $25. Now that the weather is finally cooling down, why not spend more time outside? These Palmetto all-weather wicker accent tables from Pottery Barn will help you do just that. 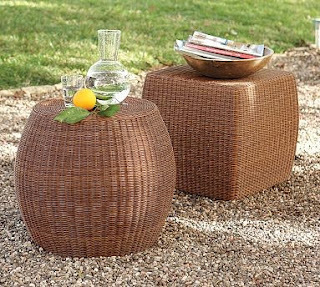 You can use it as a table or a stool in your outside area. For $74 (originally $149), why not? Since football season is beginning and Halloween and Thanksgiving are just around the corner, it's time to start entertaining! 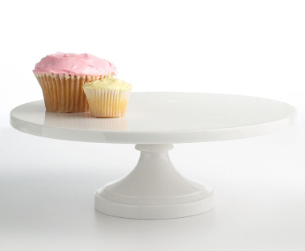 What better way to showcase your yummy treats than on Martha's (yes, we're on a first name basis) adorable cake stands. Originally $42, this 12" round cake stand is now $25.20 at Macy's. If round isn't your preference, they also come in square shapes. All sizes are on sale and look great stacked. Want to get your table into the fall spirit, but in a subtle way? Try these Sonoma Home napkin rings from Kohl's. 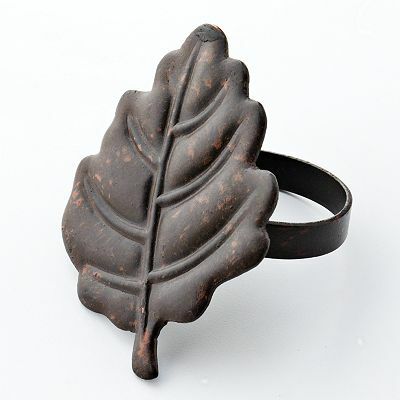 On sale for $1.99 (originally $3.99), they will add just the right touch of fall to your dining space. I hope everyone has a fun and safe Labor Day weekend! We're off to spend our's in Dallas!